The beginning of another new week at Earls Hall was a busy one! The morning started with the children in KS1 thinking about ways which they could take greater responsibility for their belongings in school in assembly. Mr B reminded them about ways they could organise their belongings in the cloakroom and how they could ensure they didn’t lose items. Later, in the KS2 assembly, Miss Ellacott talked to the children all about Chinese New Year. Later in the morning the children in Year Two took part in a mouthwatering English lesson where they used the story of ‘Biscuit Bear’ as a stimulus for their writing. The children returned from assembly to find piles of broken biscuits on each of their tables. They used their knowledge of adjectives to describe the broken biscuits, first as individual words and then as more complex sentences. Later in the morning the children converted long repeated addition sums into multiplications and enjoyed playing times table tennis in pairs. After lunch Mr B was accompanied by a group of children from Hawks as they took part in the latest of our ‘AOK Club’ missions. The group ventured out of school in order to visit Earls Hall Baptist Church. At the church the children were greeted by Katie Stanton who took them into the pre-school hall where they washed all of the tricycles and sit on cars that the pre-school children enjoy playing with. The children worked in pairs to ensure that each vehicle finished up sparkling and clean and Mr B was very proud to present them with their special badges in recognition of their kindness back at school. Well done children, we are proud of you. 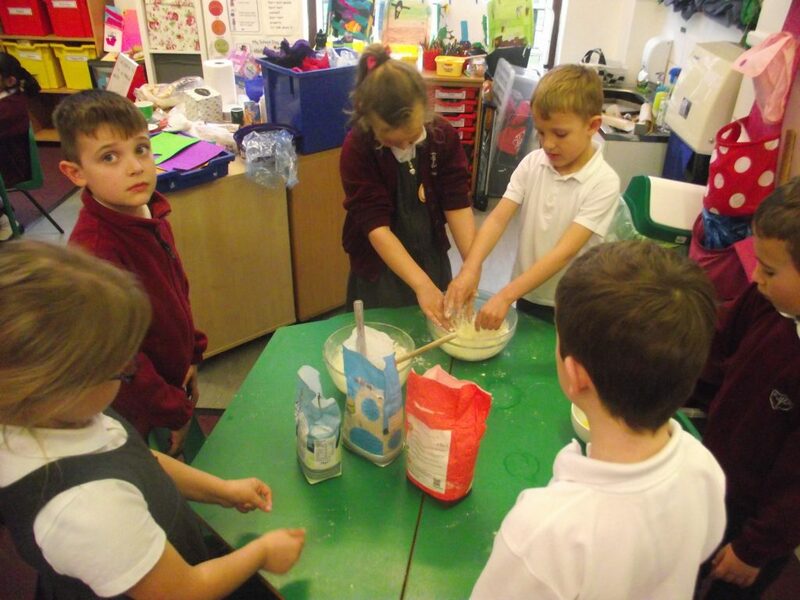 Back in school the children in Year Two continued to learn around the theme of Biscuit Bear by baking their own biscuit characters in groups and designing and making a vehicle safe enough for Biscuit Bear to travel in without breaking. At the end of the afternoon the children in Year five enjoyed a dodgeball lesson with Mr smith in the upstairs hall whilst Mr B listened to some lovely readers in his office, today from Dormice. Well done children, Mr B loved how well you read!